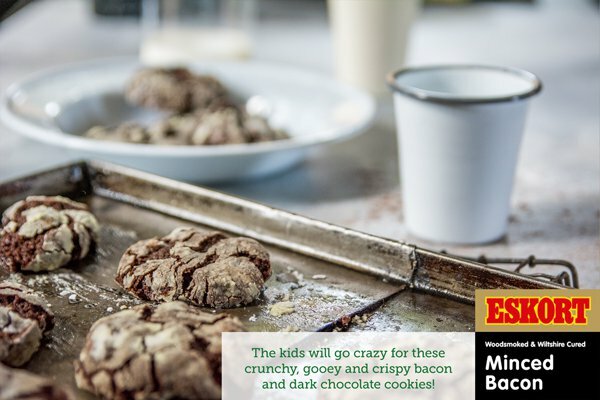 Treat your little ones this school holidays with delights from the Eskort kitchen. From picky eaters to food lovers! 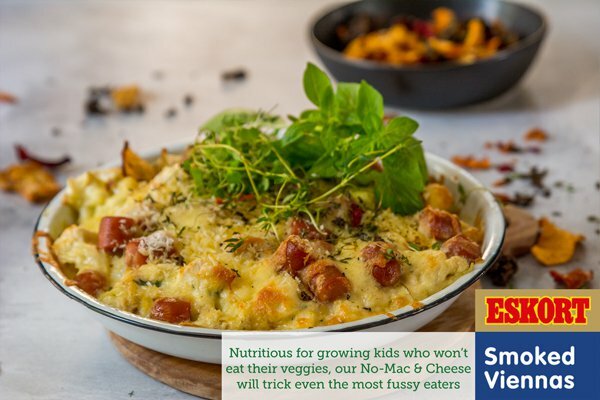 This week, our chef created #JustDelicious delights for the kids that’ll go down a treat! Chopped dark chocolate and #JustDelicious bacon is mixed into a sweet cookie dough, rolled into icing sugar and baked to perfection. Serve with a glass of creamy milk. 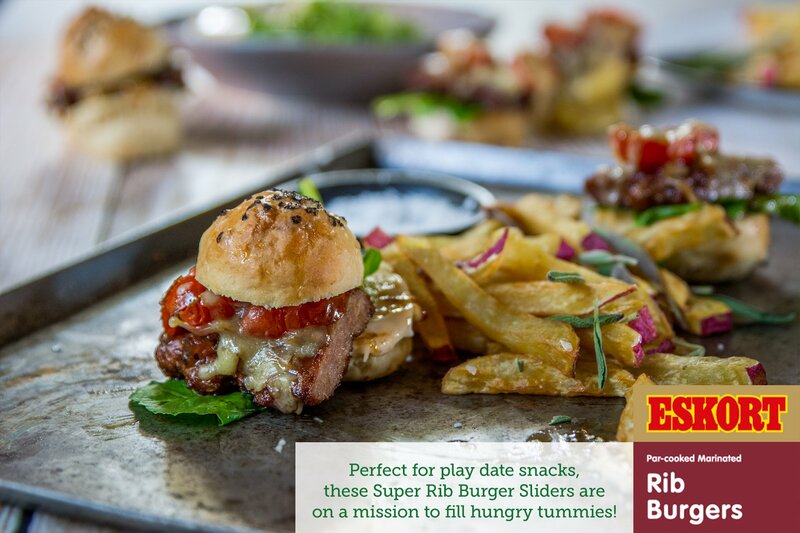 Butter-toasted slider bun bases are topped with #JustDelicious Rib Burger patties, caramelised tomatoes and onions, and a generous helping of cheddar cheese, then popped in the oven until the cheese has melted. Serve dressed with a dollop of creamy mayo and closed with the bun tops. 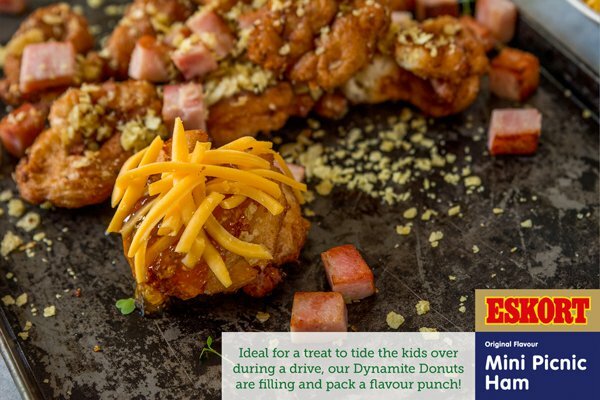 #JustDelicious smokey ham and cheddar cheese cubes are kneaded into bread dough, cut into round donuts and deep-fried until golden brown, then topped with crushed potato chips. Serve with your choice of butter, grated cheese or jam. A #JustDelicious homemade white sauce is combined with smoked vienna coins, leeks, chopped cauliflower and white cheddar cheese, spooned into ramekins, then topped with grated cheese and panko breadcrumbs before being baked to golden brown perfection. Serve with veggie chips or low GI toast.